Yves Derains, founding partner of Derains & Gharavi, is presented by Chambers Europe 2016 as a “much-celebrated arbitrator who remains a preferred choice for multi-jurisdictional matters”. Ranked in “Most in demand arbitrators” in the 2016 editions of Chambers Europe, Chambers Latin America and Chambers Global, he is also praised for his appearance as counsel: “Seasoned arbitrator Yves Derains has long-standing experience as both arbitrator and counsel”. Peers comment that “there’s no doubt that he is top of the list for international arbitration” and Clients are greatly satisfied for “the depth of his involvement in matters” and with his “approach, analysis and valuable advice”. In 2016, he was designated Lawyer of the Year 2017 in the field of international arbitration in The Best Lawyers in France. Yves Derains, who is a former secretary general of the ICC Court, was appointed chairman of the ICC Institute of World Business Law in 2010. He is also the former president of the Arbitration Court of the Jerusalem Arbitration Centre (JAC) that was created by both Israeli and Palestinian ICC national committees. He has over 40 years’ experience in arbitration. At the time of his departure from the ICC, he joined the Canadian firm Phillips & Vineberg. Shortly afterwards in 1985, he founded Derains Gélinas & Associés, one of the first arbitration firms, which name would change into Derains & Associés in 1994 and eventually become Derains & Gharavi in 2009. Yves Derains has not ceased to devote himself to the development of international arbitration. He successfully led the review of the ICC Rules of Arbitration adopted in 1998 and participated in the review of the new Rules in force as of 1 January 2012. Yves Derains offers clients a double perspective through his long-standing experience as arbitrator and counsel. His skills are particularly highly regarded in Latin America, where he regularly conducts arbitrations in Spanish and Portuguese. 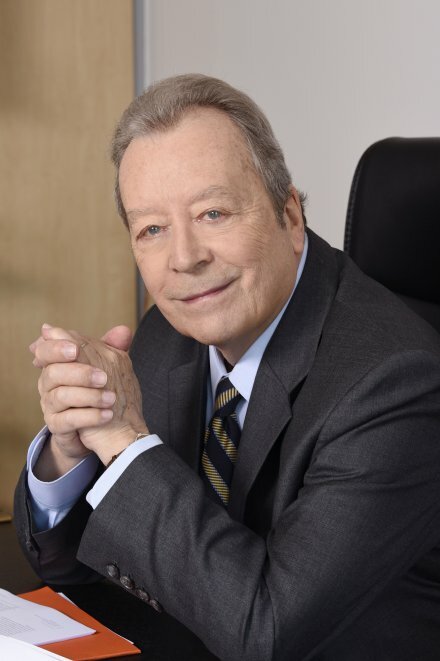 As former Chairman of the Comité Français de l’Arbitrage, Yves Derains is on the arbitrators’ lists of numerous arbitration institutions and speaks at conferences all over the world. He is co-author of the celebrated work, A Guide to the ICC Rules of Arbitration, 2nd Edition, with Eric Schwartz, Kluwer Law International, 2005, which has become a seminal text on the application and interpretation of the ICC Rules of Arbitration. Representing a Spanish bank in an NAI arbitration case relating to the closing of a joint venture. Representing an American company in an ICC arbitration against a French company in regard to the execution of a joint-venture contract (amount in dispute undetermined). Representing a Spanish consortium against an Algerian public entity, in a UNCITRAL arbitration in regard to a gas exploration and production contract (amount in dispute, several billion USD). Representing a Mediterranean state against an oil company, in an ad hoc arbitration in regard to an oil sales contract (amount in dispute: more than 900 million USD). Representing a European consortium in an ICC arbitration against a Latin American state public entity, in regard to a dam construction contract (amount in dispute: 1 billion USD). Representing a European company in an annulment proceeding against an arbitral award in the amount of 20 million USD in favor of an American company (proceedings before the French Courts). Representing a Central American State in an ICC arbitration against a Spanish group (amount in dispute: 100 million EUR). Representing an American company in an ICC arbitration against several Brazilian companies (amount in dispute undetermined). Chairman or member of Arbitral Tribunals in more than 150 commercial or investment arbitrations carried out under the rules of the ICC, ICSID, UNCITRAL, SCC, LCIA, AAA, Vienna Arbitral Chamber, Milan Arbitral Chamber and the Cairo Regional Centre for International Commercial Arbitration. As such, he has applied numerous different civil and common law legal systems. Experience in the construction, financial (in particular securitization), industrial property, competition, joint venture and investments sectors. Permanent Member of the FISA Contract Recognition Board. Member of various Panels of Arbitrators: ICC, ICSID, LCIA, AAA, ASA, CEPANI, Cairo and Kuala Lumpur Regional Centres for Commercial Arbitration, Asian African Legal Consultative Committee, Indian Council of Arbitration, British Columbia International Commercial Arbitration, World Arbitration Institute, Arbitral Centre of Vienna, Greek Arbitration Association, Hong Kong International Arbitration Centre, Arbitration Court of the Polish Chamber of Commerce, Arbitration Court of the Berlin Chamber of Commerce, Arbitration Court of the Czech Republic, Spanish Arbitration Club, Foreign Trade Court of Arbitration of the Serbian Chamber of Commerce, International Center of Arbitration of the American Chamber of Commerce of Peru, Shenzen Court of International Arbitration, Centro de Arbitraje de la Cámara Boliviana de Hidrocarburos y Energía (CEAR-CBHE). 1973 – 1977 Secretary of the International Court of Arbitration of the ICC and Director of the Legal Department of the ICC. Secretary of various ICC Commissions including the International Commission on Banking Technique and Practice. 1971 – 1973 Attaché to the International Court of Arbitration and to the Legal Department of the International Chamber of Commerce (ICC).